What is the Harvard Prize Book? 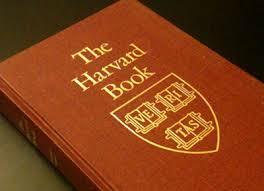 Since 1910, Harvard Clubs throughout the nation have awarded Prize Books to outstanding high school juniors. The program's goals are to recognize outstanding students and encourage qualified students to consider Harvard for their college plans. The Harvard Club of San Diego has awarded Prize Books to students in San Diego and Imperial Counties since 1957. The Harvard Club of San Diego is unique from other alumni clubs in that it holds an annual reception to present the Prize Book award to all nominated juniors. These students have worked very diligently in achieving such a high level of academic success. We are pleased to honor their enormous efforts at our annual reception in Balboa Park. The recipients and their families are invited. This is an excellent opportunity for those not familiar with Harvard to learn more about the university, and to meet with Harvard alumni and current Harvard undergraduates. How can you Support the Prize Book? 1) Join the Prize Book Committee. If you are interested in joining the Prize Book Committee or helping out at the reception, please contact Amy Sewick, asewick@gmail.com. 2) Contibute to the Book Prize. To contribute to the Prize Book, click HERE. Please let us know by email if you would like your contribution to be made to a student from a particular school. To learn more about the Prize Book, visit the Official Prize Book website.